You’ll be pleased to hear that I won’t be posting my views on the pros and cons of Payment By Results (PBR) in the social care sector. I’ll leave that for a quiet news day. Now that Cameron and Milliband have given their diagnoses – and Clegg has been acting improbably tough today – I have some belated comments of my own to make on recent events in London, Manchester and Birmingham. I will just say one thing, for those with an interest in social care. Oliver Letwin at that KPMG talk agreed that people using personal budgets are best placed to drive innovation in the sector. It is patronising to suggest that they lack mental capacity or need to be protected from their own decisions, simply because they use social care. I asked Letwin another question. Surely the Open Public Services White Paper isn’t that radical. There is a good deal of continuity with over a decade’s worth of ‘modernisation’ under New Labour, isn’t there? He acknowledged it was in a ‘line of evolution’ with Blairite thinking on public services, and that the rhetoric bore a strong resemblance to that used by his predecessors. They too were all about promoting choice and empowering people. At least that’s what they said. But the coalition are much ‘more consistent’ and committed to ‘making it happen’ across public services. Whether you believe that or not, the fact remains that things have changed. It is not the case that the Tories have reverted to type as the headlines screamed following his speech. Far from it. The policies pursued by the coalition are remarkably similar to those pursued under the preceding New Labour governments. And this is where I segue into the the riot of ill-informed commentary that has been doing such a bad job of getting to grips with something else that is quite new. For all the competing arguments used to explain the riots – and an opportunism from the likes of Ken Livingstone and Harriet Harman that was more than a match for the looters – it is this idea that nothing has really changed that predominates. Its the same old Tories doing the same old damage to the social fabric, they say. Which is the sort of thinking that gives trying to make sense of the rioters actions a bad name. Such a resorting to tired cliches is, after all, as pointless as the riots themselves. There is, nevertheless, an explanation to be had. Two things can be said with some certainty. The riots of August 2011 were not a re-run of the riots of the 1980s. Though you wouldn’t think so given the censorious reaction to the usually insightful David Starkey, they had nothing to do with race this time around. Having said that, they did have something to do with the politics of multiculturalism – an ideological response to those earlier ‘race riots’ that has arguably contributed to today’s. Certainly, as Toby Young argues, moral relativism has a lot to answer for. And the second thing? The rioters weren’t reacting against state repression or police brutality, or anything else much. Quite the opposite. The impotence of the authorities – if we can still call them that – was exposed for all to see. As Mick Hume argues, the theatrical ‘fightback’ staged for the cameras, with raids on housing estates and the round-the-clock court sittings, didn’t make them look any more effectual. … it is not Thatcher’s alleged cultivation of individualism and competition that nurtured the riots, but rather the welfare state’s decommissioning of those things, its silent war on working people’s social networks and self-respect. … in Britain the provision of welfare has mutated into a culture that encourages people to regard their circumstances as not a temporary phase but as a way of life. So the problem is not the provision of social benefits but the normalisation of welfare dependency as the defining feature of people’s life. From the top of society down there is a tendency to flatter, patronise and counsel the young as therapeutic, self-esteem focused techniques replace clear social and moral authority. The citizen-led clean-ups that happened across the effected areas in the days that followed the riots, lifted our spirits and gave us back a bit of hope that society hadn’t quite unravelled in the way much of the press seemed happy to promote. And yet it would be naive to ignore the warning signs. As O’Neill makes clear, the reaction to Enfield’s vigilante ‘fascists’ puts official enthusiasm for this sort of thing in doubt. It seems that the powers-that-be are less than comfortable with community-building when the community starts building itself. But perhaps more importantly, as Furedi argues, there is a reluctance even to acknowledge the profundity of the ‘urban implosion‘ that the riots brought to the surface. And perhaps, after all, this is where the dysfunctional politics of social unrest and social care, respectively, might shed some light on the biggest problem of all. The politicians have, for some time, maintained a rhetorical commitment to putting people ‘in control’. But this is impossible while there is suspicion of the exercise of authority. Without it we are unable to truly take control of our lives and of the communities in which we live. Whether its a feeble culture of policing, or social worker aversion to ‘vulnerable’ adults making decisions about their own care – its time we put failing adult authority in the dock. Expertly put Dave with really useful references. About the current landscape, I’m trying to find something more than this is so ‘stupid’ to say, because the tinder situation is serious enough to warrant more than than that. So I’ve decided on ‘centrifugal’. I agree it is to do with implosion on different social levels – politicians / the authorities / the banks are paid and tasked to run things, then they’ve got to do do better than the riotous and unethical behaviour and lack of social responsibility which has undoubtedly brought us to this time and place. It’s centrifugal because that behaviour moves away from the centre and creates a ripple effect in wider (rather than bigger) society. So the riots were the result of the collapse of adult authority and a culture of welfare dependency? That seems a rather poor argument, especially because it ignores the underlying socioeconomic factors contributing to the riots. 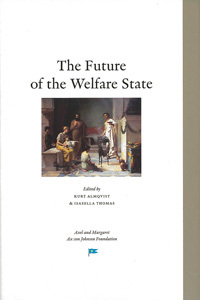 Loss of “adult authority” and a “culture of welfare dependency” are far more cliched and knee-jerk explanations than attributing the riots to a continuing cycle of poverty, disaffection and social exclusion (which most experts and analysts, not merely sensationalist journalists and opportunistic politicians, cite as crucial to understanding the riots). Yours is a sort of Victorian argument made by an aristocrat – sitting as he is in his mansion arguing for a restoration of “moral authority” to keep the “feral” poor from “damaging” society (codeword for the bourgeois privileges of the well-off), while ignoring inequality and poverty as a source of conflict. Read Richard Wilkinson and Kate Pickett’s book ‘The Spirit Level: Why More Equal Societies Almost Always Do Better’. That should not only give you a background to the underlying causes of the recent riots, but it will also challenge your argument that the vices of capitalism rarely produce tension, conflict, and rioting. The fact is that capitalism – in particular neoliberal market capitalism – very often provokes crises, tensions, and conflict. The triggers for the recent riots may have revolved around the lack of police control and authority immediately following the Mark Duggan protests, but the underlying causes of it can be traced to decades of structural inequalities and marginalisation caused by market capitalism, which is reaching its most rapacious form with the Tory government and its strategy of cuts. And oh how rich it is to speak of “welfare dependency” when the vast majority of the poor want to work, but are unable to find it as bourgeois economists, bankers, capitalists and politicians simply exacerbate historic levels of unemployment.